I was recently retained by a prestigious design firm that is known for renovating large scale projects (30,000 square feet minimum) with a quick turnaround. This project in particular was a 40,000 square foot home in Bel Air that required 10 walk-in closets designed, fabricated and installed in two months. 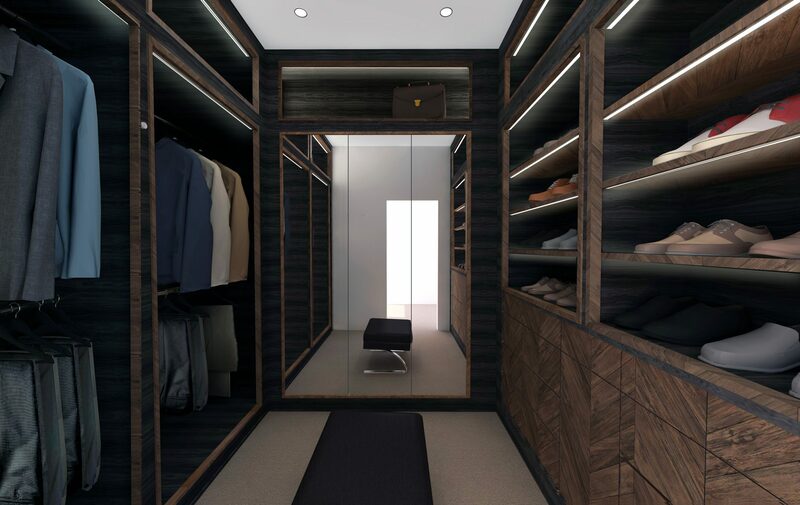 Designing luxury closets is my forte, but having the time constraint was a huge undertaking. However, working with such brilliant designers who already have an overall design vision for the house, allowed this large scale project to flow very smoothly. The biggest challenge for me, as the closet designer, was to make sure that my designs were effectively communicated to the overseas clients; so my goal was to attain “design approval” on my first set of drawings. I relied a lot on the designer’s inspiration images, the inventory I collected from their existing closets, and then producing multiple sets of visuals from CAD, 3D animations to 3D photo realistic renderings. My incredible design team and I worked through the night, I remember, right around Christmas, to get it all done. I don’t think it was more than 48 hours after I submitted my designs that I received design approval! Click here to read how we build and put into place the final product. Check back for the last part of this series!